The Jazz Appreciation Group 2 is a Joint Group with members from Spelthorne and Spelthorne K2. WHEN & WHERE. We meet on the first Thursday of each month at the Wheatsheaf and Pigeon public house, Wheatsheaf Lane, Staines upon Thames. Our meetings commence at 2.00 p.m. and finish at 4.00 p.m. Refreshments, including tea and coffee are available from the bar at reasonable charges. There are limited car parking spaces but there is plenty of street parking nearby. AIMS. To further our knowledge, understanding and appreciation of all forms of jazz music in a relaxed environment. ACTIVITIES. 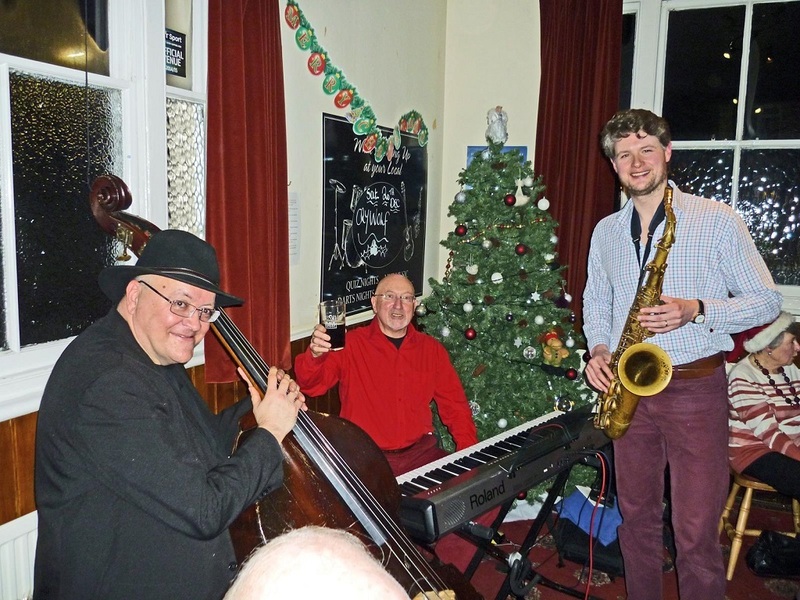 Members are invited to bring and play jazz music of their choice in record, CD or MP3 formats. There is general Group discussion about the music, musicians and any particular aspects. VACANCIES: The Group currently has over 20 members and could accommodate only a couple more. To send an email to the leader of Jazz(2) click on the litte bird in the top right hand corner.